PURASOLV® is a range of safe solvents based on lactate esters that provides multifunctional properties. Offering superior solvency for a broad range of active ingredients and combinations, PURASOLV® solvents give the flexibility to develop customizable formulations with optimal efficacy, for enhanced crop protection. Dissolvine® GL is a high-performing chelating agent produced from monosodium L-glutamic acid (MSG) which is a biobased naturally occurring amino acid. Readily biodegradable and offers a high solubility over a wide pH range without sensitizing human skin. Dissolvine® GL meets the requirement as a safer chemical by the U.S. EPA’s Design for the Environment program and CleanGredients as well as being recognized as safe by numerous international institutions. FARMfill is a loose fill that alternates the traditional loose fill produced from expanded polystyrene. This product is made completely from corn and contains no petroleum based ingredients. When excited by an external light source, a quantum dot can emit any wavelength of light by tuning the size of the particle. This unique characteristic makes the technology ideal in a wide array of applications such as display, lighting, biomedical and security applications. Nanoco’s leading CFQD® quantum dots contains no cadmium or other toxic heavy metals while maintaining great performance thanks to Nanoco’s patented production process that allows for the manufacture of high quality nanoparticles on a large scale. Alternatives to N-Methyl-2-Pyrrolidone (NMP) in semi-conductor manufacuring that do not include γ-Butyrolactone (GBL), Dimethyl Sulfoxide (DMSO), or Dimethylacetamide (DMAc). Primary uses of NMP in semiconductor manufacturing include: * As a solvent in certain photolithography formulations, including photoresists. * In Bottom Anti-Reflective Coatings (BARC) and polyimides *As a solvent pre-wet of wafers prior to application of spin on polymer * As a component of photoresist stripper formulations. 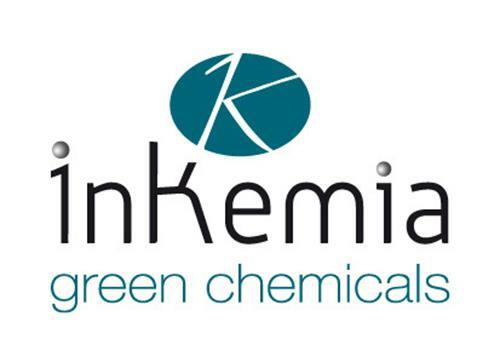 InKemia Green Chemicalspresents its Green Solvents Toolbox, a set of 100+ organic solvents characterized by a benign environmental, health and safety profile. The selection of solvents, a subset of the company’s larger database, follows design principles that maximize the chances of success during solvent screening campaigns.